As far back as I can remember, all I ever wanted was to be a mother. Twenty-one years, and three children later, it has been an amazing, joyous, loving, stressful, worrisome, exasperating ride, to say the least. Never in my wildest dreams did I image all of the bizarre “Casualties of Parenting” that I would encounter. 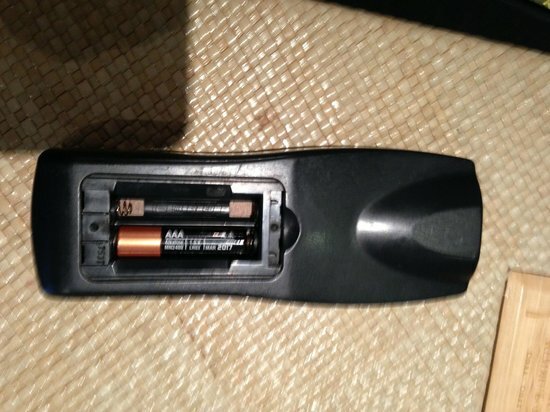 Every remote that you own is missing a back – I was on the phone with a friend that was trying to order a movie on cable. “None of my remotes have backs!” She said with disgust. “None of mine do either!” I replied. That’s when it hit me, we are not alone! A ringing cordless phone will be ANYWHERE, except on the phone charger – Several years ago, we purchased a set of three cordless phones! Great idea! How convenient for a three level home! After spending hours recovering the handsets from the sofa cushion, hamper, under my child’s bed and on top of the dryer, we threw all of them in the trash. Just sayin.. The freezer door will continually remain open a crack overnight – It is my extreme joy and apparently my job to shut the freezer door all the way, every morning. I enjoy this only second to struggling to pay our monthly utility bill. The pantry contains several empty boxes of snacks – I am aware that IT IS a rather long walk from the pantry to the trash receptacle in the kitchen of our tiny duplex, so kids please be aware that I do acknowledge this burden. I would appreciate if you would accept and acknowledge that I will not buy more snacks if the pantry looks full. Truce? The center dial for the shower is always in the “ON” position – I absolutely love struggling to get my schnauzer, Max, in the tub for a bath, only to turn on the tub water and drench my entire head and clothing with a stream of water from the shower head above. Enough said. You are considering buying stock in cell phone chargers – Some people are contemplating investing in medical marijuana while I’m tallying what I have spent in cell phone chargers over the past year… hence, I can not afford a vacation. Maybe it’s time I started a stock portfolio. You are told that entire carton of eggs makes for the perfect protein drink – My teenagers are always going to the gym and following high protein, low carb diets. I stopped purchasing cold cuts, as someone in my home can consume a pound of turkey in one sitting. One morning I witnessed Kevin separating the yolks and the whites from an entire carton of eggs to make a protein blender drink. Just for the record, the yolks were in the same kitchen trash receptacle that no one can seem to locate for empty snack boxes from the pantry. Strange… very strange. The only broom that you own is missing the handle and you can’t find it – I’m pretty sure that purchasing brooms is running a close second to cell phone chargers, with lamps coming in third place. I am not sure if my children are reliving the phase of Star Wars light sabers, or if they are just using broom handles to beat the hell out of each other while I’m at work. I do know that the handles are always A) Missing B) Broken, or C) Screwed onto the wrong base so the handle spins as you try to sweep, ultimately defeating the purpose of sweeping all together. I guess that I have come to terms with all of the above being part of the “Casualties of Parenting.” I know it could certainly be worse, but for right now I’m just going to stop writing and go look for my cell phone charger, maybe it’s next to the empty snack boxes in the pantry. 0 out of 10 – You must be single with no children. 8 or more – Maybe we could meet for a drink… I know I need one! Stay strong and don’t forget to laugh! Yes! Let’s meet for a drink! Between the 16 year old and the 14 year old twins…help me! And, can you explain to me why the cereal boxes are left with a handful of cereal in them??? Why can’t the last handful fit in the bowl!!!??? I am in Michigan! But, considering your luck at malls, I don’t think I want to be near a mall with you!!! 😜😬 I could also bring a bag of single socks. Not sure where their partners disappeared to! Maybe they went on a vacation with the backs to all of the remote controls! I can bring 3 trash bags full of single socks but I doubt the airline will let me check them on my flight to Michigan. I don’t have nearly the problems you have with your kids, but my dogs create their own specialized issues. I woke up this morning to potting soil everywhere on the kitchen and living room floors. Yesterday I bought three pots of herbs for a last minute addition to the garden. I watered them and put them on the back of the counter. Walter found them and dumped them on the kitchen floor. He then took them to the living room and spewed the rest of the mess all over the chaise lounge cushions. Why do I have chaise lounge cushions on my living room floor you ask? It’s because a sprawled out Great Dane fits on those and no other dog bed can come close. Four chaise lounge cushions equal one Great Dane bed. I don’t have room for two so one of the Danes has to lie on the couch. On me. Unless they both lie on me. I am often anchored to the couch and look at the chaise lounge cushions wistfully. Also, I can never find the cordless phones. The dogs like to play hide and seek with them. Ha! That’s too funny!!! Can I borrow a broom?